Added on September 1, 2011 by Adrian+Shane. 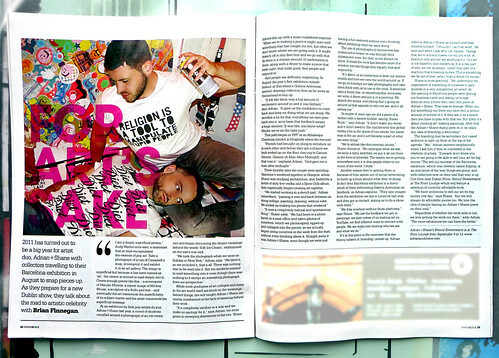 Adrian+Shane are featured in the September issue of GCN magazine. In "adrian + shane", "artists", "dublin", "exhibition", "front lounge", "gay", "gcn", "interview", "ireland", "lgbt", "queer", "stencil sweethearts"